One of the many advantages of the rugged north-Cornish coastline is the plethora of hidden coves and secret beaches tucked away under the tall cliffs. They’re not always easy to reach, but with a little effort you really can escape the crowds. Many will know of Crackington Haven, but it’s worth including here as it rarely gets busy. 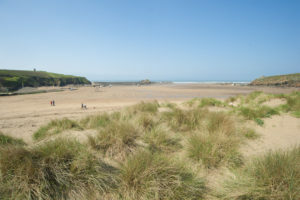 Located 10 miles to the south of Bude, this beach is best enjoyed at low tide, when there’s more space to explore. 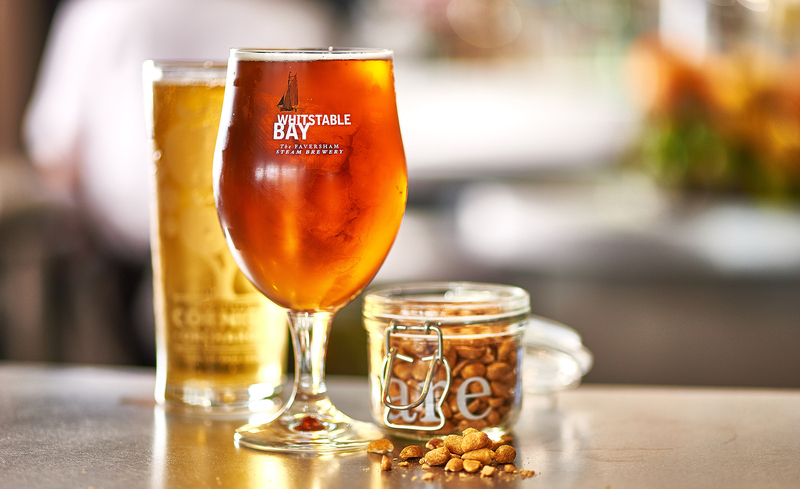 There’s a pub and café nearby, and the surf can be good at times – so very much worth a trip. If you keep heading south from Crackington Haven, you’ll discover The Strangles around one mile on. There is a small National Trust car park on the road side, opposite the footpath down to the beach. It is a relatively long climb down from the car park, so be prepared. But your efforts will be rewarded, as two beaches join up at low tide, revealing a long stretch of sand. A truly rugged but beautiful cove, just to the north of Bude. There are plenty of rock pools, and a stretch of sand at low tide. You may also spot the wreck of the SS Belem, wrecked just off the beach in 1917. You’ll find a small National Trust car park at the beach, with an honesty box for payment. 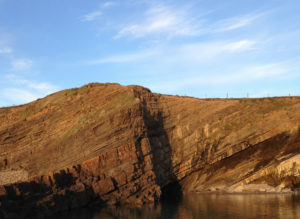 Just to the south of Widemouth, around four miles from Bude, is Millook Haven. The beach is mainly made up of pebbles and shingle, so not necessarily the best spot for lying in the sun – but it’s certainly a dramatic spot for a coastal walk. There is no lifeguard cover here, and the sea is best avoided by inexperienced swimmers or surfers. But you can guarantee there won’t be too many people around. Tregardock is around 20 miles from Bude, but you could combine it with a trip to Port Isaac or Tintagel, both of which are close by. It’s fairly difficult to get to – located at the end of a long path, with a bit of a climb down. But for that reason, it is never busy. If you’re planning a trip, keep an eye on the tide times. The beach disappears at high tide, but when the sea is out you’ll find plenty of sand and rock pools. If you enjoyed this collection of secret beaches, take a look at our collection of the best wild swimming spots in Cornwall. 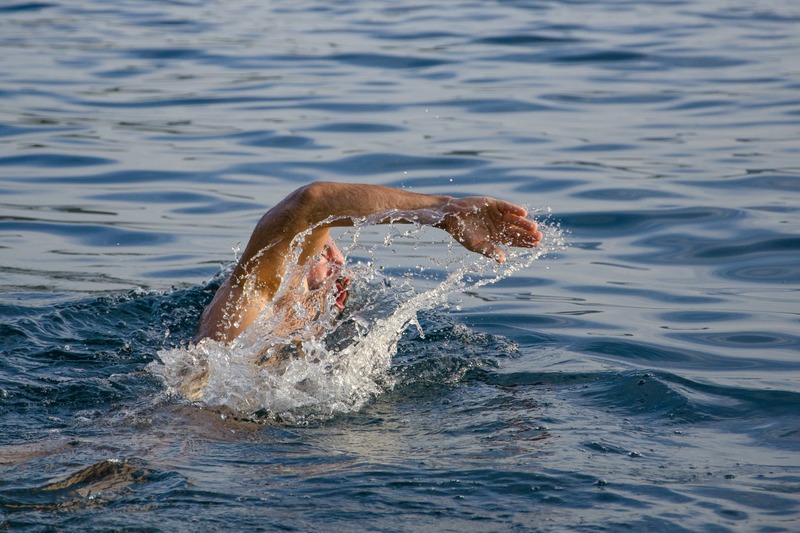 Cornwall’s beautiful coastline and rugged countryside is right on our doorstep, and there are so many places to enjoy a swim that offer something a little different than a dip in the sea. 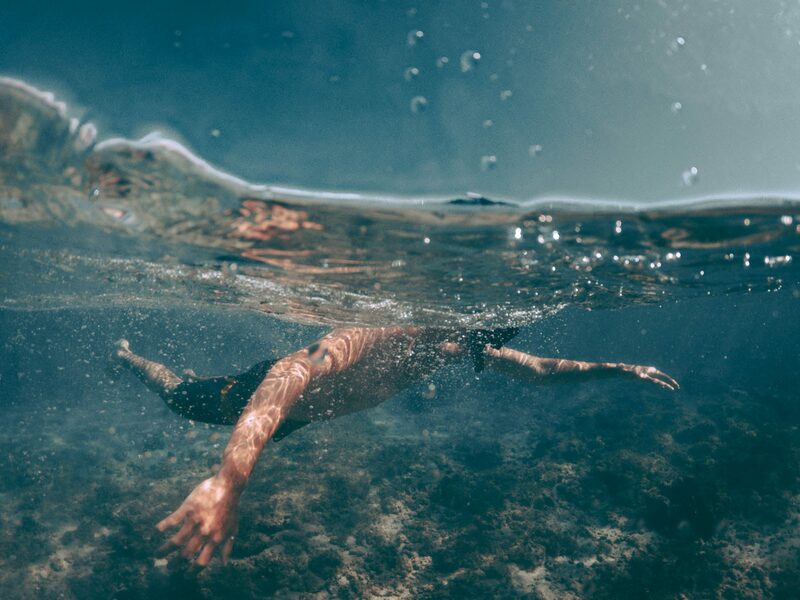 Although the wide open ocean might seem like an obvious place to go for a swim, we’ve rounded up our top five wild swimming spots that you may not have heard about, perfect for swimming in without having to dodge any waves or surfers. Open from early March to late October, Jubilee Pool is a fantastic place to enjoy natural seawater in a safe, controlled environment. High walls protect visitors from any offshore winds, and the pool has a smaller bathing pool for toddlers and younger children. The pool is the UK’s largest seawater lido, and was officially reopened by Prince Charles in 2016 after having been closed for a number of years. 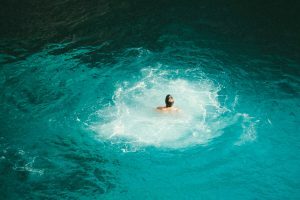 The first stage of plans to heat a section of the pool using geothermal energy has now also begun, with mechanics drilling down and tapping into a deep geothermal well which will eventually produce bathing waters of around 35°C. Partly man-made and partly natural, Bude Sea Pool is a brilliant wild swimming pool tucked beneath the cliff at the northern side of Summerleaze Beach, providing a safe haven for swimmers who can enjoy the benefits of wild swimming without having to worry about the dangers of the sea. 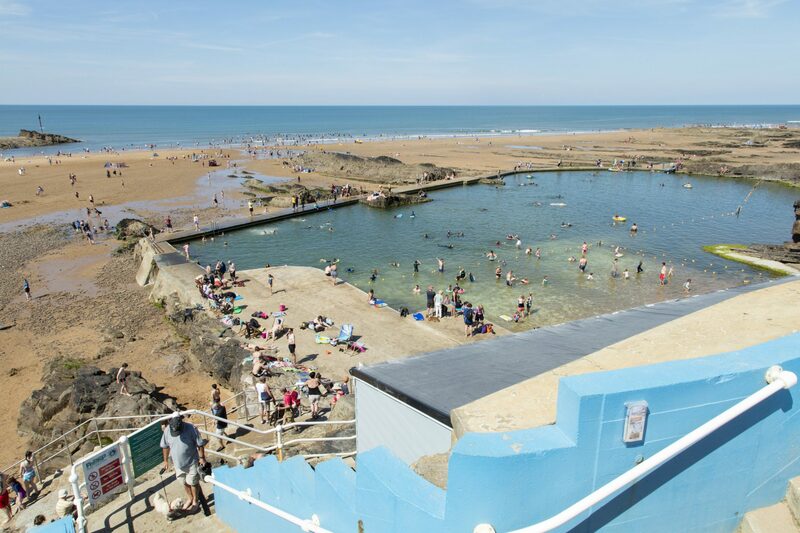 Originally constructed in the 1930’s, the pool is 91 metres long and acts as a major draw for visitors to Bude, naturally refilling at high tide each day. 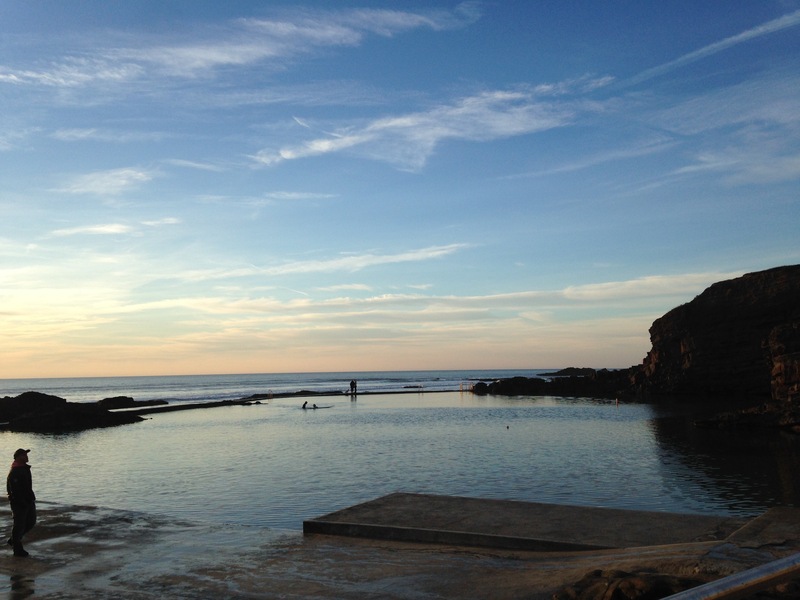 All public funding for the pool was withdrawn in 2010, and it has since been maintained solely by the Friends of Bude Sea Pool, which rely on donations from supporters. The pool is completely free to enjoy and is used for a number of purposes, including surf life saving and swimming lessons, and it’s only 100 meters from our hotel, so remember your swimmers. 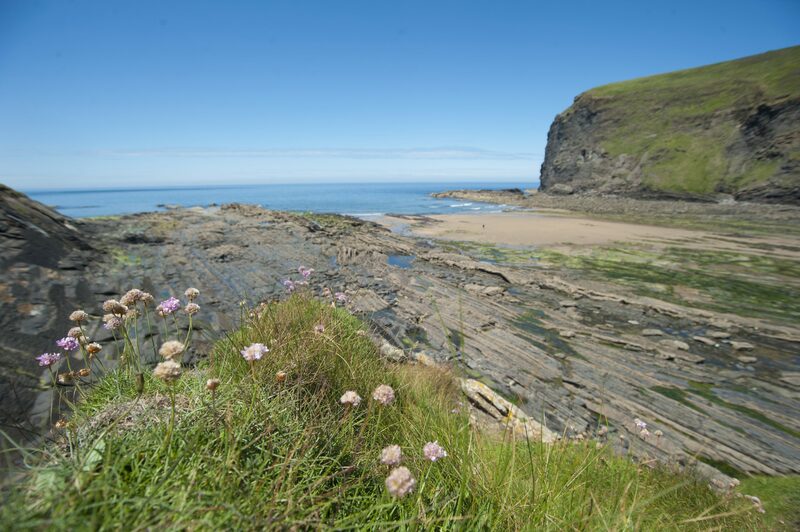 As if Perranporth’s three-mile stretch of golden sand isn’t enough of an attraction, the beach also houses a natural tidal pool within Chapel Rock, a large sea stack that juts out from the cliffs at the southern end of the beach. Being quite small, the pool is naturally warmed from the sun in the summer months, and provides a brilliant area for children to learn to swim, snorkel and dive. 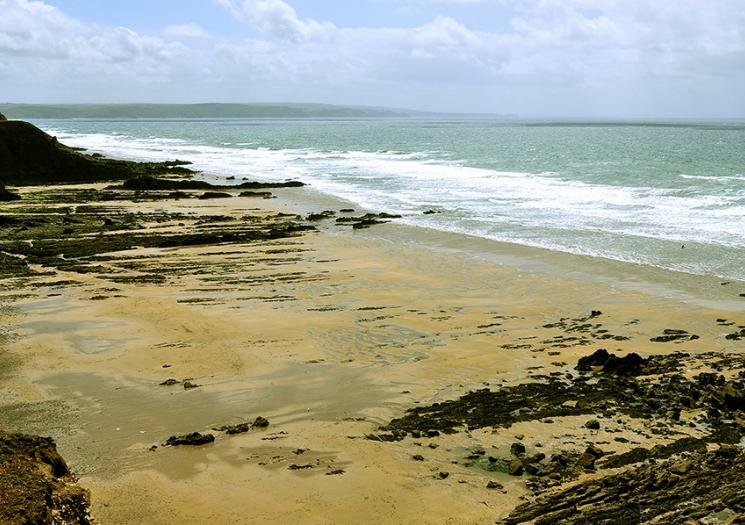 The tide can come in quite fast at this beach, so visitors are warned to keep an eye on it. A small village and fishing port on the north coast of Cornwall, Portreath is located between St Ives and St Agnes, and on the north side of the beach the harbour wall shelters a small tidal swimming pool that’s perfect for relaxing in whilst watching the waves roll into the bay. The pool isn’t quite big enough to swim laps in, resembling a hot tub rather than a swimming pool, but it’s a great place to relax while the children scramble over the rocks and discover the local marine life. Although not particularly glamorous sounding, Goldiggins Quarry is a beautiful, clear spring fed quarry lake in a sheltered spot on Bodmin Moor. With flat ledges for jumping into the deeper parts of the water, the surrounding grass banks provide perfect places to enjoy a picnic or sunbathe. The wild landscape also means there are some great walking routes nearby, navigating around and across towering granite tors jutting out from the moorland. The nearest carpark is over a mile away from the quarry and there are limited local amenities, so we’d recommend taking lots of water to stay hydrated in hotter weather. 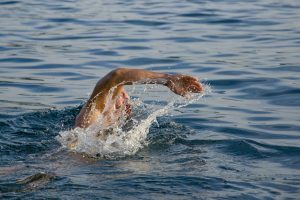 Please be responsible when taking part in wild swimming activities at attractions that are not lifeguarded and never jump into water if you’re not sure of its depth. Bude is the perfect family-friendly resort, with award-winning beaches and plenty to do to keep children and teenagers entertained. In celebration of the brand new family-friendly suites we’re introducing to the hotel, we’ve rounded up some family-friendly activities in Bude that will keep the whole family entertained, with a variety of pastimes for whatever the weather. 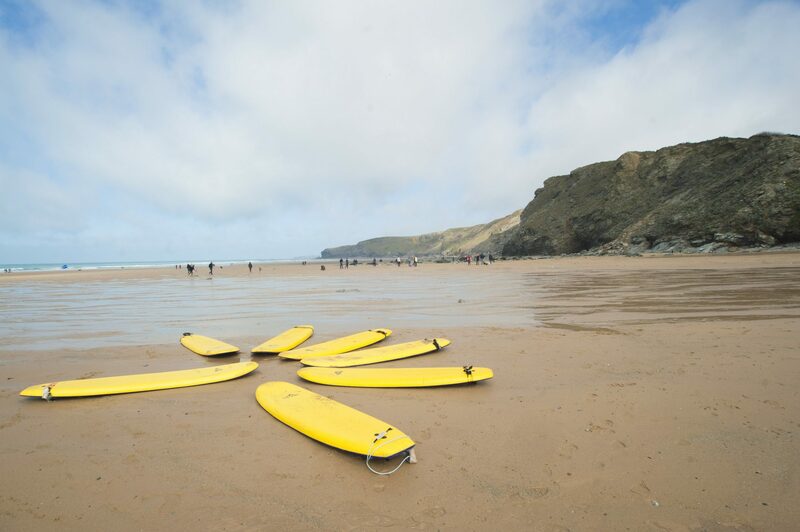 Summerleaze Beach is right on our doorstep and it’s the perfect place to learn the art of surfing, with fun waves and suitable conditions for both experienced surfers and beginners. 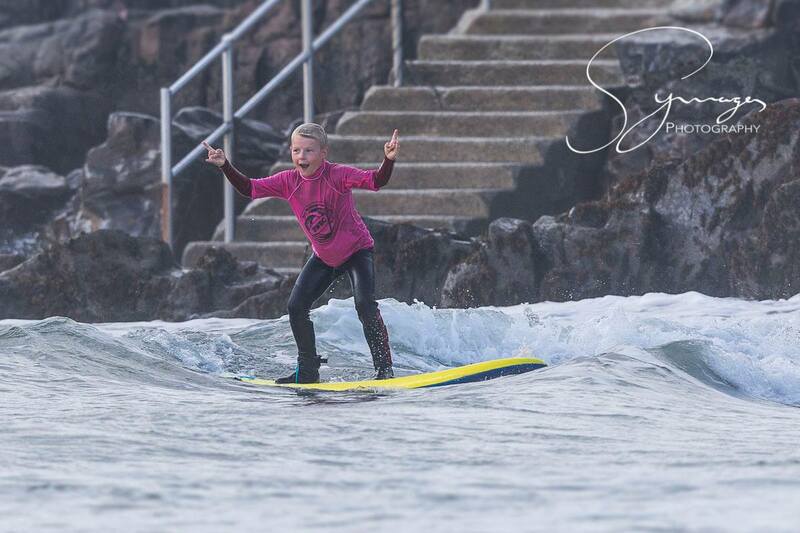 The beach is lifeguarded over the summer months, and there are several nearby surf schools offering wetsuit hire, group tuition or one-on-one lessons, including Big Blue Surf School, Bude Surfing Experience, and Raven Surf. Voted as Trip Advisor’s top ten UK amusement parks last year, The Milky Way is an all-weather attraction with something for the whole family. The north Devon-based adventure park boasts a multitude of activities, facilities and fun for all ages, including dodgems, rollercoasters and high-octane rides for the thrill-seekers, and vibrant play areas, pottery painting and an 18 hole mini golf course for a more relaxed day out. Live shows are presented in the indoor arena and feature a daily schedule of things to watch, including scientific experiments, birds of prey, and an entertaining and educational journey through the solar system for ‘galaxy showtime’. Stretching 21 acres into the Cornish countryside, the Tamar Otter and Wildlife Centre houses plenty more animals and birds than you’d expect, including fallow and muntjac deer, owls, meerkats and wallabies. Guests can watch the British and Asian short clawed otters being fed at 12pm and 3pm every day, and see the sociable families playing together in their expansive enclosures, one of the top family-friendly activities in Bude. There are also nine birds of prey species to meet, including a Bengal eagle owl, a harris hawk, a kestrel and a buzzard, with insightful talks on the birds from a professional at 11:30am and 2:30pm every day. Cycling is a great way to see the Cornish landscape whilst getting out in the fresh air and burning off some of the kids energy. 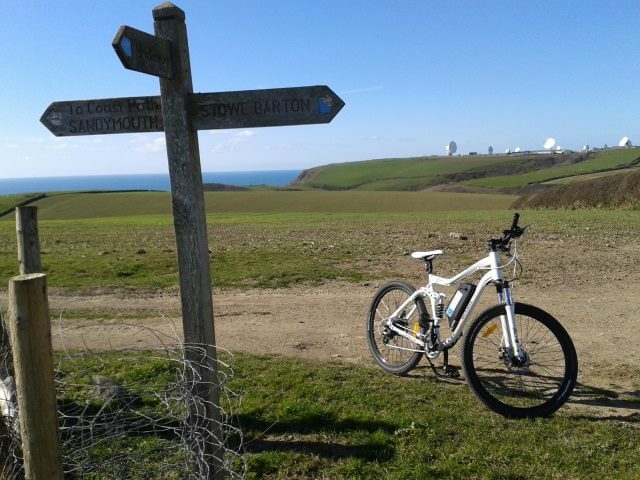 Bude Bike Hire have a range of bikes and equipment available to suit all abilities, with free, downloadable maps to help plan your route, which include the canal, coastal views or rugged farmland and countryside. It’s recommended that you book in advance where possible, and helmets are provided, with the optional add-ons of tag-alongs, trailers and child seats. 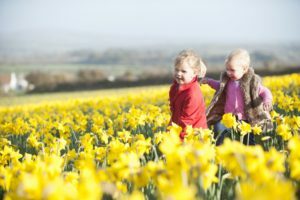 With a puzzling maze, a secret hobbit house and plenty of trails to explore, Hidden Valley Discovery Park is one of our favourite family-friendly activities in Bude. The grounds include six individual gardens within the park for visitors to enjoy, and a detective hunt with plenty of clues to solve. There is also a ‘forbidden mansion’, an impressive red brick building with a large labyrinth of rooms, secret passageways, concealed doors, upside-down rooms and exciting surprises. Guests can also ride on the miniature train that travels along mile-long railway track right around the perimeter of the park, and unlimited rides with all entry tickets to the park. 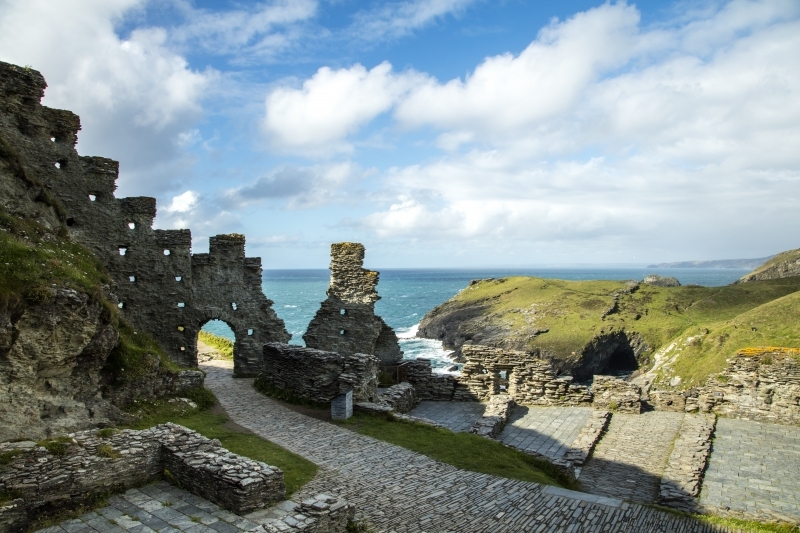 Associated with the legend of King Arthur, Tintagel Castle is steeped in history and a beautiful location to visit, whether exploring the castle, the Dark Age settlement or the fascinating museum dedicated to the impressive landmark. The beach below the castle is great for paddling in the sea and rock pooling, and exploring Merlin’s Cave is a must when the tide is out. Park in the centre of Tintagel and take a stroll down the road to the remains, with far-reaching views over the sea and along the coast. The site also hosts an array of events and exciting occasions such as archeology festivals and magical storytelling sessions, so be sure to check what’s on before you go. A wide range of gifts and souvenir items can be bought from the gift shop too, including toy swords and tapestries. 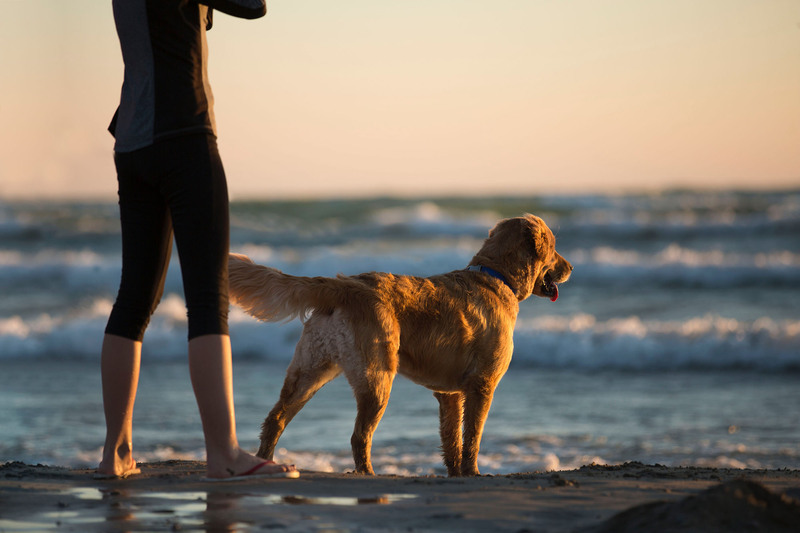 If you consider sunbathing a bore and you want more out of your holiday, Bude offers a wealth of great activities to keep you active during your stay. 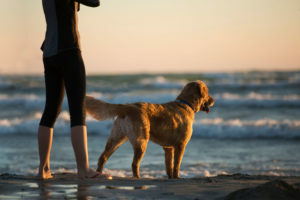 Our great coastal location means that we can take advantage of the outdoors, with the rugged north Cornwall coastline and beautiful countryside providing lots to do, with great indoor sporting facilities around the town too. Whether you’re looking for an alternative way of seeing the sights, or want to continue training as you would at home, we’ve rounded up our favourite ways of keeping active in Bude that’ll make that delicious cream tea even more deserved. 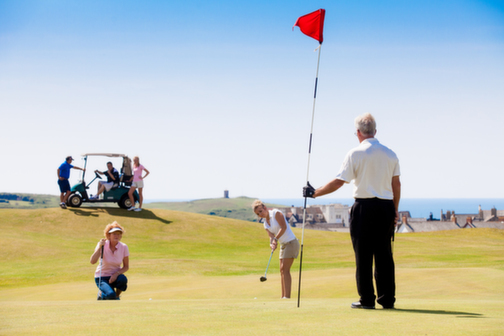 Book a round at Bude and North Cornwall Golf Club and enjoy the far-reaching sea views and sights of the north Cornish cliffs. The challenging course covers 18 holes and was voted one of Great Britain’s top 100 courses under £100 by National Club Golfer Magazine. The club hosts a number of events and open competitions throughout the year, inviting both visitors and members of all abilities to enter, and there is a much-anticipated Golf Festival from 14-22 July which will see eight days of golf competitions and games. If the weather isn’t playing ball, hit the gym at The W Club which boasts a great selection of facilities, like a state-of-the-art fitness suite and hard tennis courts. If you need a little help or some top-tips for a beach-ready body, there are also highly qualified in-house trainers that can offer a free personalised induction. Once you’re done feeling the burn, hop into one of the plentiful saunas or steam rooms to wind down, or book yourself in for a relaxing massage or treatment. Lower Tamar Lake was built in 1819 to supply water to Bude Canal, but has since become a hub of activity. Visitors can book kayak, canoe or sailing lessons with an experienced instructor, or hire the watercraft and enjoy the wild surroundings from the water, whilst trying to spot the kingfishers, butterflies, herons and dragonflies that are regularly seen on the water’s edge. There is also a weekly Tamar Lakes park run, taking place every Saturday morning at 9am which follows a pre-planned 5km loop along a mixture of tarmac paths, cinder and grass. The event is free but participants must sign up prior to the run here – http://www.parkrun.org.uk/tamarlakes/. 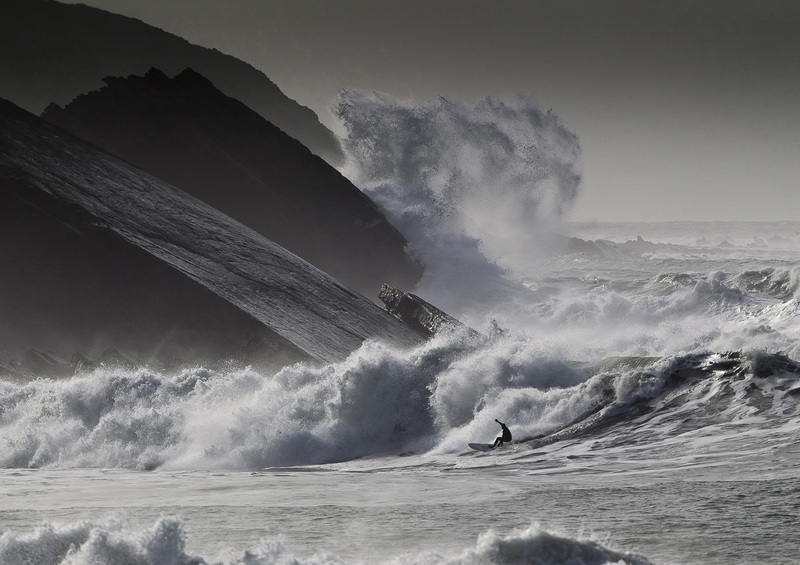 Summerleaze Beach is right on our doorstep and has some great surf conditions, regularly picking up the consistent Atlantic swell that hits the North Cornish coastline due to its west-facing position. When it’s too windy for most of the other surf spots on this stretch of coastline, Summerleaze Beach can still provide some fun waves, with suitable conditions for both experienced surfers and beginners. 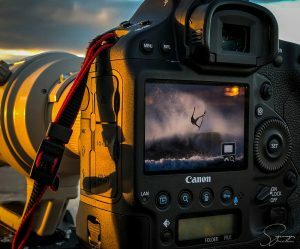 The beach is lifeguarded over the summer months, and there are several nearby surf schools offering tuition, including Big Blue Surf School, Bude Surfing Experience, and Raven Surf. If you’d like to try some surf spots a little further a field, we’ve rounded up our recommendations here. Cycling is said to be one of the most efficient forms of transport, and will allow you to see the incredible surrounding area. 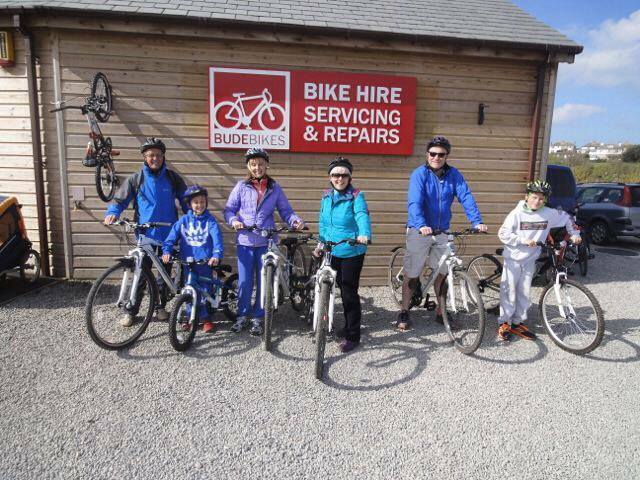 Bude Bike Hire have a range of bikes and equipment available to suit all ages and abilities, whether you’re planning on a leisurely ride along the canal or a challenging route along the winding country roads. They can also help with route planning, offering free, downloadable maps that will ensure you don’t get lost on your cycle, with loops that include the canal, coastal views or rugged farmland and countryside. 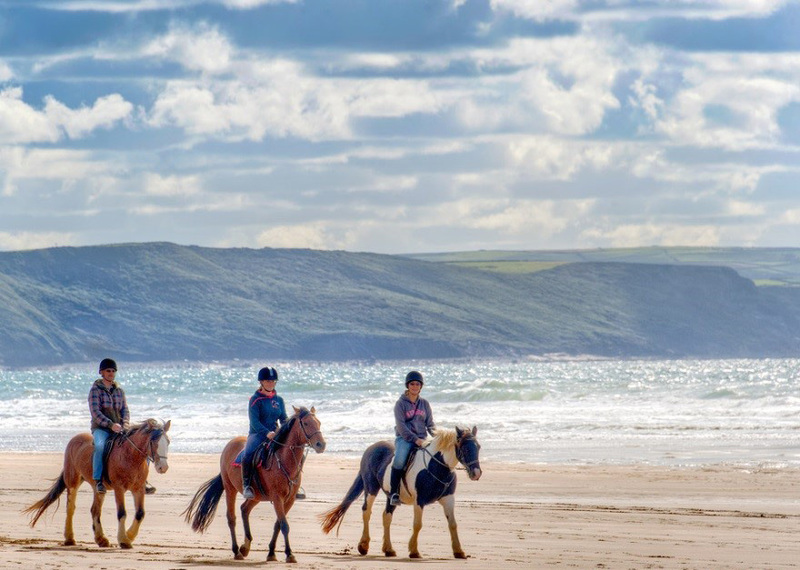 Broomhill Manor Stables is located on the outskirts of Bude, offering horse riding excursions and lessons for all ages and abilities on well-schooled horses and ponies. 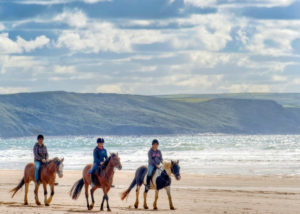 Beginners can ride around the grounds and along the quiet local lanes, whilst experienced riders can enjoy galloping along the beach and cliffs on sports horses or shire horses, taking in views of the beautiful Cornish coastline. One-on-one tuition can also be provided for first time riders wanting to learn the fundamentals, or for experienced riders wanting to improve their technique. We’re in an ideal location for a coastal or canal-side walk, with the 600 mile stretch of the South-West Coast Path on our doorstep and Bude canal only a stone’s throw away. The canal route provides a long, flat walk with beautiful scenery and impressive wildlife, whilst the coastal path is a little more challenging, but still very rewarding with hidden coves and quiet beaches. We’ve rounded up our favourite walks in Bude here, but if you need a little more guidance, there are numerous guided walking tours available throughout the week leaving from the Tourist Information Centre. Bude Sea Pool is a partly man-made and partly natural swimming pool tucked beneath the cliff at the northern side of Summerleaze Beach. 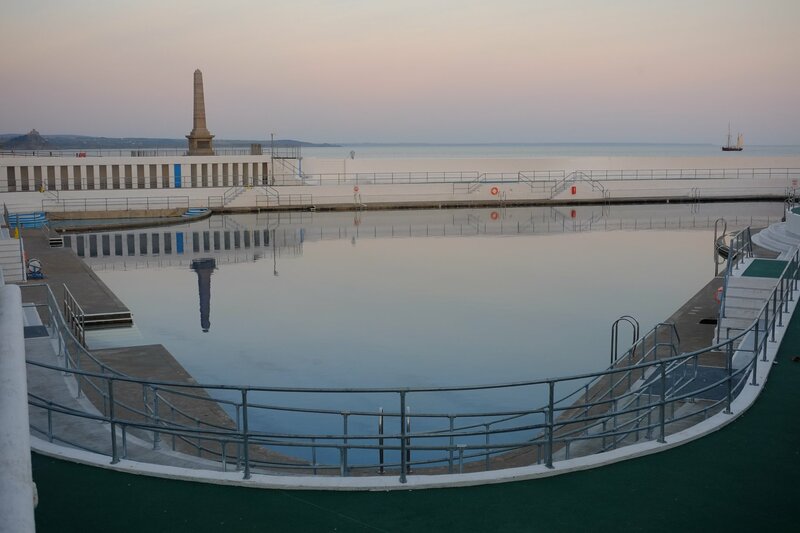 The sea pool provides a safe haven for swimmers who can enjoy the benefits of wild swimming without having to worry about the dangers of the sea, such as rips, big waves and surfers. 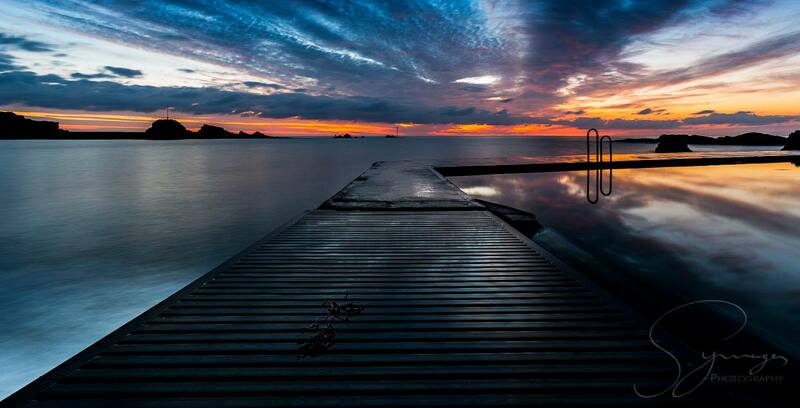 The pool stretches 100 metres in length, a great distance for laps, and provides a real sense of being in the sea. The sea pool is also home to a wild water polo club in the summer months and provides the perfect body of water for the swimming section of the Bude Junior Triathlon which takes place in early June. The height of summer is still a little way off, but as the days are getting longer and weather is getting warmer, there’s a real sense of Spring in the air. Whilst the pathways are quiet and the temperature is mild, enjoy some of the fantastic rambling routes in and around Bude that we’d suggest. Beginning at the Tourist Information Centre in Bude, follow the canal towards the sea and pick up the cliff-top path. 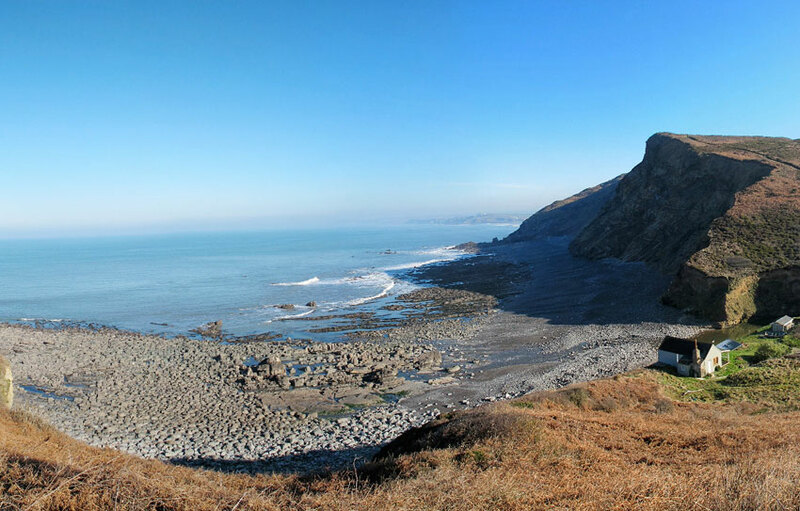 Walkers will pass Bude Sea Pool and Sandymouth Beach to find one of the most remote areas of coast in Cornwall. For views of two sandy beaches and an easy going footpath, an amble along Maer Down is ideal. Beginning at Northcott Mouth and finishing in Crooklets Beach, this walk is only around a mile long, perfect for visitors looking to quickly blow away the cobwebs. The nearby nature reserve is recognised internationally as a resting and feeding site for migratory birds that are blown by strong Atlantic gales, and the cliffs remain of geological importance. Although the path is exposed to occasionally harsh weather, the cliff remains laden with wild flowers. Northcott Mouth and Crooklets Beach are renowned for rock pooling, and whilst Crooklets has a seasonal ban on dogs, Northcott welcomes them all year round. As an alternative to a coastal path, Bude Canal offers a peaceful landscape with plenty of wildlife. The walk is predominately flat, with a low hill between the canal and coast path, ideal for children or wheelchair users. The path is bustling with pipits and buntings in the autumn, who are searching for pickings in the newly-harvested fields found alongside the canal. Bring a picnic and watch the kayaks and boats glide past in a picturesque setting. The walk along Duckpool Beach and the coastal path is known for its wildlife and small, but well-known, beach. The circular walk is around five miles and although the tide is too dangerous for swimming at any time of the year, the beach is a uncrowded hidden gem, which almost completely disappears at high tide. With a beautiful coastline, it is easy to forget that Bude’s town trail is full of culture, history and beautiful views. When walking along Summerleaze Crescent and heading inland, walkers will come across pit stops such as the Clifton Memorial Stone and Bude Marshes Local Nature Reserve. 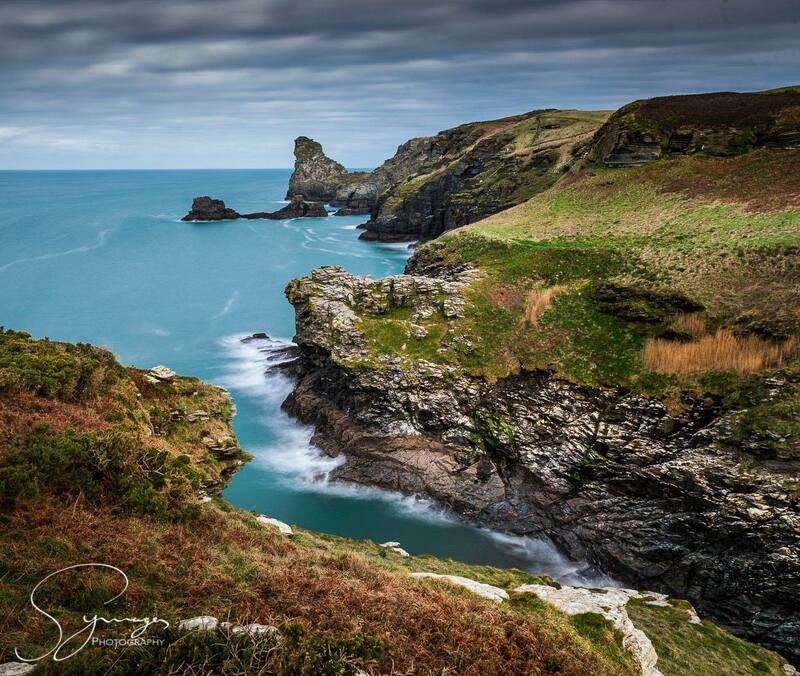 This is a gentle walk on the cliffs of North Cornwall which encompass an array of breathtaking views. Walkers will come across historical landmarks, such as a beautiful church which is believed to date back to Saxon times, as well as Hawker’s Hut, the refuge of poet Reverend Robert Hawker. There is plenty of local wildlife and on a clearer day visitors can see Lundy Island. This child and dog friendly walk is around four miles and three hours long. 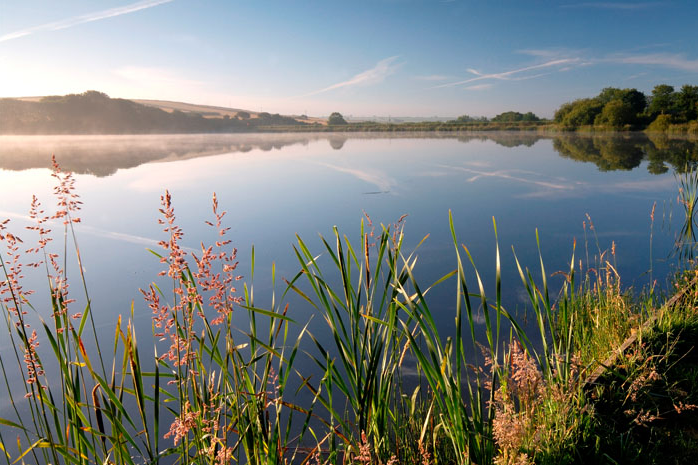 Explore the grassland meadows and wander along the waterway before finding the Vealand Farm nature reserve, full of ponds, hedges and meadows. 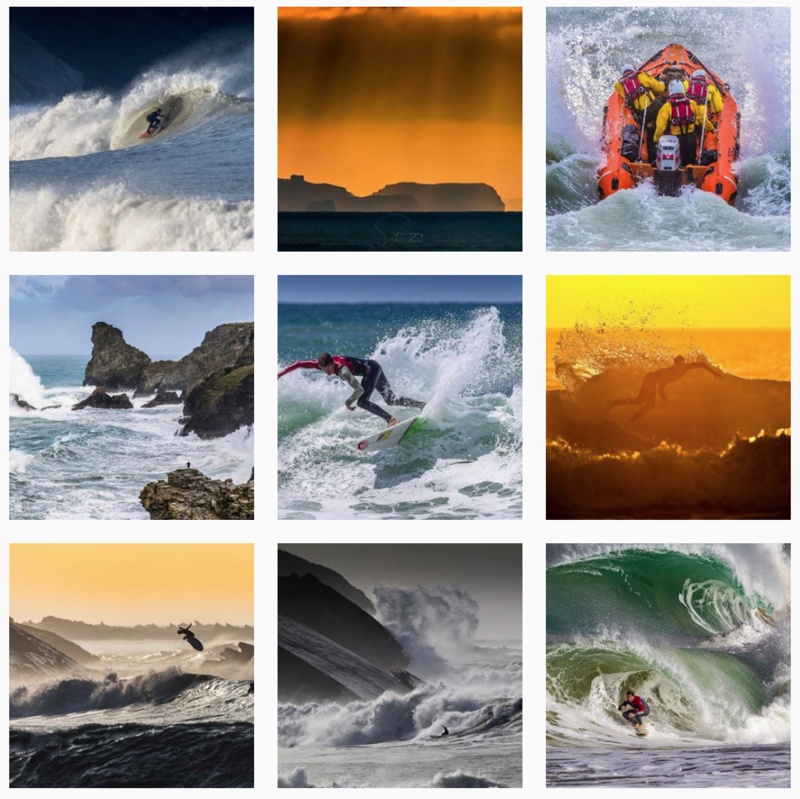 Images courtesy of Adam Gibbard and Visit Cornwall. The widely anticipated second series of popular British television drama Poldark returns to BBC1 on the 4th of September which means that once again the beautiful Cornish coastline will be making a regular appearance on screens across the UK. The plot is based on the acclaimed novels written by Winston Graham, and is set in various rugged locations around Cornwall. The final episode of series 1 left audiences in suspense after Ross Poldark is arrested for murder and wrecking, leaving his beloved Demelza distraught. To prepare viewers for the second series, we have picked out some of the filming locations around Cornwall which featured in the drama, for visitors to explore. 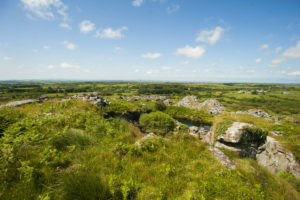 Bodmin Moor was largely featured in the first series of Poldark and the cast and crew became very familiar with the 200 square kilometres of grassland and heather. It was the perfect backdrop for many scenes, including capturing cast members on horseback. The passion and family dramatics that Poldark is famous for are replicated within Bodmin Moor’s rugged views and stormy landscape. This was also where a number of the miners’ cottages were based along with Ross Poldark’s house, Nampara. Port Quin, located just past Port Isaac was also featured in the TV series. The peaceful area that remains unscathed by visiting boats is ideal for conjuring up images of past settings and scenery. The traditional appearance and collection of ships caught the eye of locations managers for Poldark and for some scenes it was used as the principal town. The original grade two listed harbour featuring plenty of tall ships allows visitors to be transported back to the 18th century, into Graham Winston’s setting. 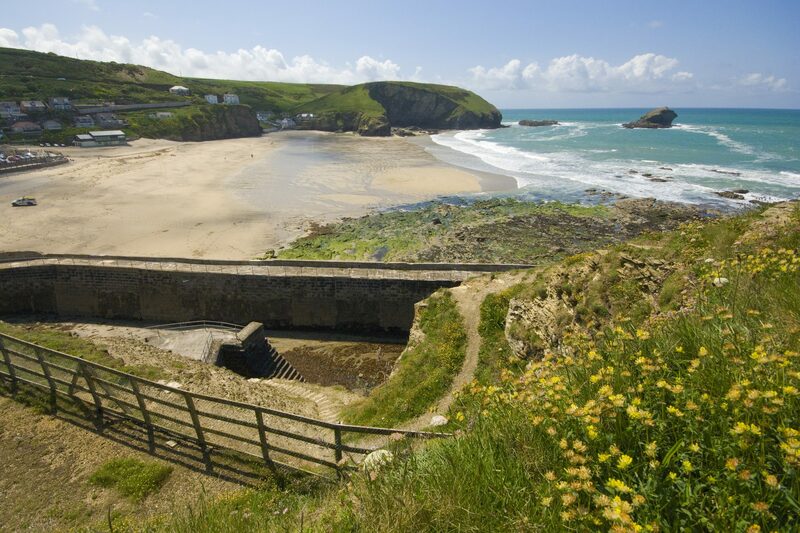 The North Cornwall coast line was used for plenty of cliff scenes, and a lot of regular visitors will recognise the Camel Estuary and Tregirls beach. The wide, sandy beach of Porthcothan was also used in series one along with the headland at Stepper Point, which was used for some of the more dramatic cliff scenes, including horse drawn carriages filmed soaring across cliff tops. Although Corsham in Wiltshire was Truro’s double for filming purposes, the Cornish city Truro was the author’s original inspiration for the story of Poldark. Therefore it only seemed apt to use the location for the world premiere of the series. Locals, producers, writers and headline cast members joined together for the first exclusive viewing of the first episode and claimed their first reviews, which were full of praise.